Meteorite scientists are generally a happy, friendly bunch of people. 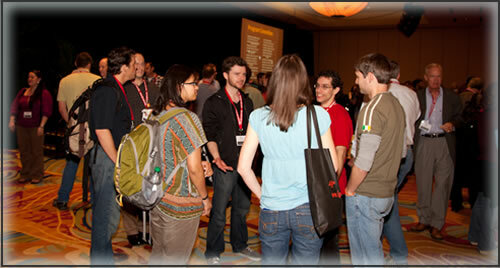 They love nothing better than getting together at meetings and conferences to discuss their latest research results. The mood is always relaxed and laid-back, unless that is, someone brings up the difficult issue of chondrules. Then things can start to get dark and a bit tricky. Discussions may become heated and the mood brooding and introspective. Yes, if you want a quiet life, stay away from chondrules, that’s my advice. And now to make matters worse, a group from the MIT and Purdue University has come up with a new theory to explain the origin of these enigmatic objects. It’s not going to be easy at the up-and-coming Lunar and Planetary Science Conference in Houston, mark my words! OK, so what’s the problem? What are chondrules and why are they so controversial? Chondrules are silicate-rich spheres, generally up to about 1mm in diameter, found in “chondritic” meteorites, which as you will have guessed, take their name from these bizarre objects. Chondrules have distinctive internal textures, which experimental work suggests, formed during a flash heating event followed by a period of relatively rapid cooling. And chondrules are also old. They are not the oldest Solar System objects, that accolade goes to CAIs (calcium-aluminium-rich inclusions). But chondrules probably formed no more than 3 million years after CAIs and, compared to the 4,567 million year age of the Solar System, that’s just the wink of an eye. And finally, chondrules are everywhere. Out of the approximately 51,000 officially named meteorite specimens on the Meteoritical Bulletin Database, nearly 47,000 or 92%, are chondrule-bearing types. Ordinary chondrites, by far the largest class of meteorites arriving on Earth (70% of all falls), are composed of between 60% to 80% chondrules by volume. (To look at some nice high resolution images of chondrules, visit the Virtual Microscope. The optical microscope images for the ordinary chondrite Ethiudna and Dar al Gani 225 are particularly impressive). 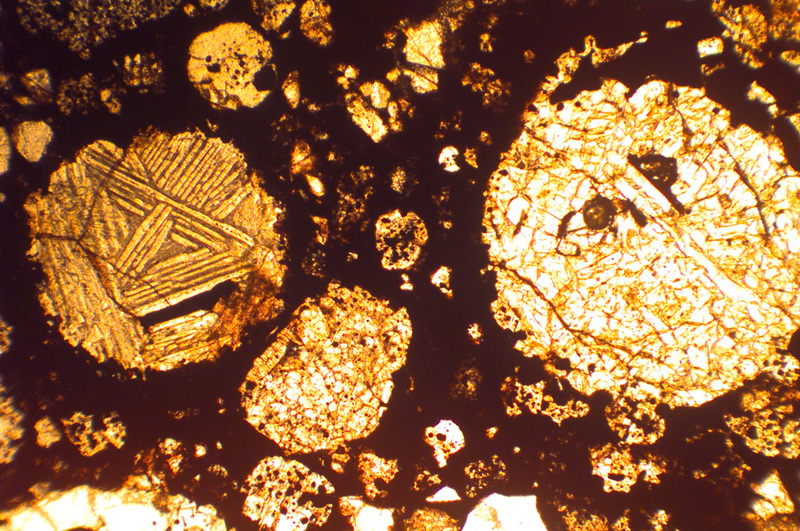 Clearly chondrules are important and working out how they formed remains a fundamental problem in meteorite science. So how well are the scientists doing? Although the existence of globular structures in meteorites had been known about from the start of the nineteenth century, the first person to put forward a theory for their origin was the Englishman Henry Sorby in 1877. His suggestion was that they “were originally detached glassy globules, like drops of fiery rain.” Since then, a wide range of models have been proposed to explain the origin of chondrules, such as sprays from colliding, melted asteroids; by direct condensation from a nebular gas; as a result of impact-related proceses; due to current sheets in the protoplanetary disc; formed by x-ray flares from the proto-Sun or within bipolar outflows from the young Sun. Shock heating mechanisms are currently popular and come in a number of flavours, including Bow shocks associated with planetary embryos, shock heating driven by infalling dust and gas or shock waves due to gravitational instabilities in the protoplanetary disc. Phew! That’s a lot of models and it’s far from being a comprehensive list. And now there’s a new one. In a recent letter to Nature, Brandon Johnson and co-workers presented a new model for the formation of chondrules, which involves impact melting of the outer surfaces of colliding mini-planets, followed by high speed jetting of the molten material into space. The computer simulations undertaken for this study involved a 10km diameter asteroid impacting a much larger body at velocities of between 1 to 6 km per second. It was found that melted material can escape into space following such a collision, provided the impact velocity exceeded 2.5km per second. The authors calculate that this molten material will form millimetre-scale droplets that then cool at similar rates to those estimated for real chondrules. As a consequence, it is claimed that the model provides a realistic mechanism for chondrule formation. To evaluate the model, calculations are presented which look at how well it predicts both the timing and location of chondrule formation in the early Solar System. The authors claim that the fit with what we know (or think we know) about chondrule formation is good. They also calculate the possible mass of chondrules that might be produced by this process and find that for most of their simulations, it exceeds the present estimated mass of the asteroid belt. So, is this a case of problem solved? Well, the model certainly has a lot going for it. 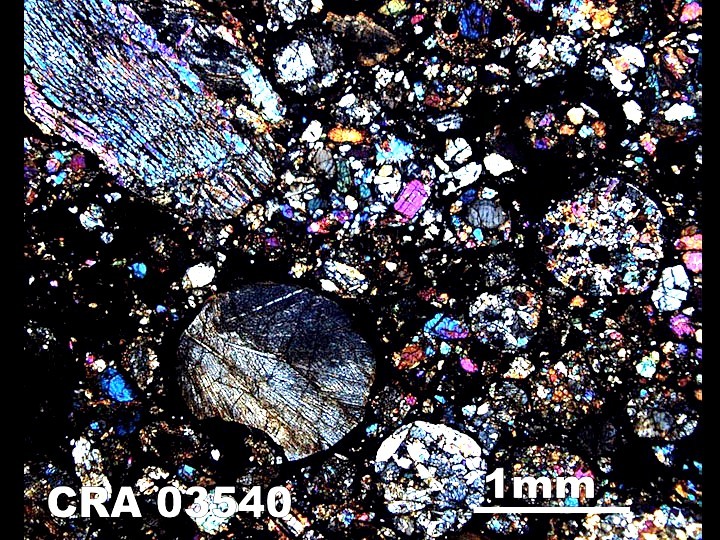 It was pointed out previously by Conel Alexander and co-workers that the high sodium content of chondrules indicated formation in a relatively solid-rich environment and was not compatible with a nebular origin. The possibility that chondrules could have formed in vapour plumes associated with giant impacts had previously been suggested for one meteorite group, the CB chondrites. That such a model might work for chondrules in general received strong support from an experimental study by Fedkin and Grossman. It is now also widely accepted that the first planetary bodies formed before the onset of chondrule formation. This suggests that the setting for chondrule formation proposed by Johnson and co-workers is in accord with what we know about the dynamics of the early Solar System. So, an impact origin for chondrules appears to be a realistic possibility. Whether the new model gains wide acceptance remains to be seen. One objection that may be raised relates to the chemical composition of chondrules. 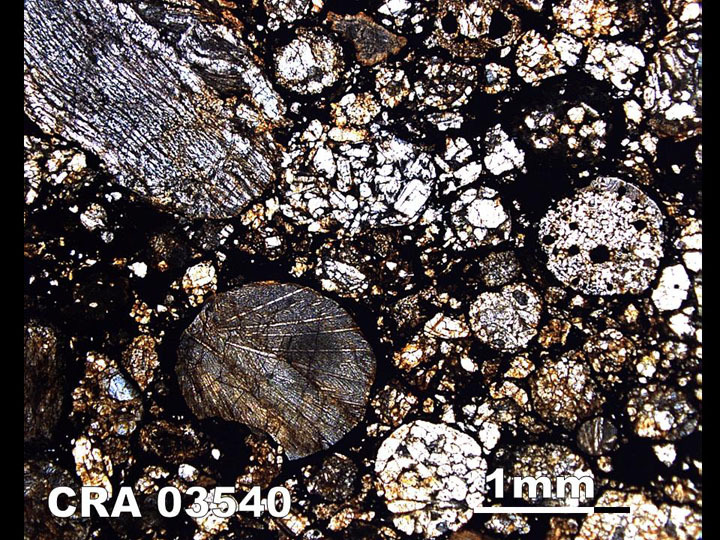 Most chondrule-bearing meteorites have a primitive composition, unlike material derived from larger melted asteroids such as 4 Vesta. Impacts between relatively large-sized bodies in the early Solar System might be expected to produce chondrules that are chemically evolved. Brandon Johnson and co-workers address this problem by pointing out that there is evidence that such evolved bodies may have had an outer shell of primitive material and it is this surface material that would most likely be melted and dispersed as chondrules during impact. So now we have a new(ish) chondrule mechanism to add to the collection. It’s going to stir things up, that’s for sure. But then, that’s what makes science fun! I’m looking forward to the up-and-coming discussions in Houston. February 19, 2015 in Meteorites. I agree, forming chondrules by smashing asteroids together is a pretty awesome idea. Thanks for your comment.